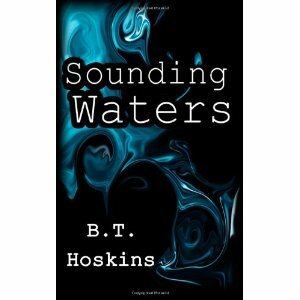 I just finished reading Sounding Waters, the debut fantasy novel from B.T. Hoskins, and loved it. If you've read and enjoyed any of Ursula K. Le Guin's Earthsea books, then I believe you'll enjoy Sounding Waters. That's not to say that the storylines are similar. Mrs. Hoskins has created a unique world populated with memorable characters that are all her own. But her writing style and development of the story resembles the tone and pace of Earthsea books 2-4. And that, in my mind, is a (very) good thing. One thing I really enjoyed about Sounding Waters was my inability to guess what would happen next. Each time I thought I'd figured out some of the mysteries present in the book, a new twist would occur that would cause me to reassess what I'd read so far. These creative (and logical) surprises continue all the way until the final page of the book. I'm not going to say anything more because part of the fun of this book was in learning about the story as it occurred. In closing, if you enjoy well-written fantasy, then you really need to order or download a copy of Sounding Waters today!